Vehicles have certainly come a long way since they were first invented. As technology has advanced, it has enabled manufacturers to incorporate all kinds of impressive features into the vehicles of today. There’s even work being carried out to get self-driving cars onto the mainstream market. Here, we’ll look at some of the most impressive vehicle technologies available today. The introduction of back up cameras was great for the automotive industry. Allowing drivers to see clearly behind them, they have made it much safer to reverse. They’re designed so that when the car is shifted into reverse, the screen automatically shows a clear view of the rear of the vehicle. This helps to avoid obstacles and pedestrians, as well as making it easier to get in and out of tight spaces. Vehicle to vehicle communication isn’t widely available, but it’s likely it will be rolled out into more cars in the future. It basically allows the vehicle to communicate with other vehicles, as well as structures surrounding the car such as traffic lights. As it stands, this type of technology allows cars to relay information such as climate conditions and traffic data to other nearby cars. However, in the future, it will help when cars become more autonomous as vehicles will need to be able to communicate with one another in order to operate safely. One technology which is becoming popular is key replacement apps. Several manufacturers have enabled their cars to be controlled via a smartphone app, instead of just a key. What’s great about this technology is that you don’t even need to be in the proximity of the vehicle to use it. So, say you’ve parked up your car, you’re sat enjoying a nice cup of tea when suddenly you remember you’ve left the car unlocked. All you need to do is log in to the app, push the appropriate button and the car will lock without you needing to get up from the sofa. This type of technology is sure to bring a higher price when you’re looking to sell the car through sites such as the AA, too. Finally, wireless charging is another great piece of tech in today’s vehicles. Allowing you to charge your smartphone up wireless by placing it into a wireless charging pad, it’s a convenient and safe way to keep your phone battery topped up. Both drivers and passengers love this feature. These are just some of the most impressive technologies featured in today’s vehicles. 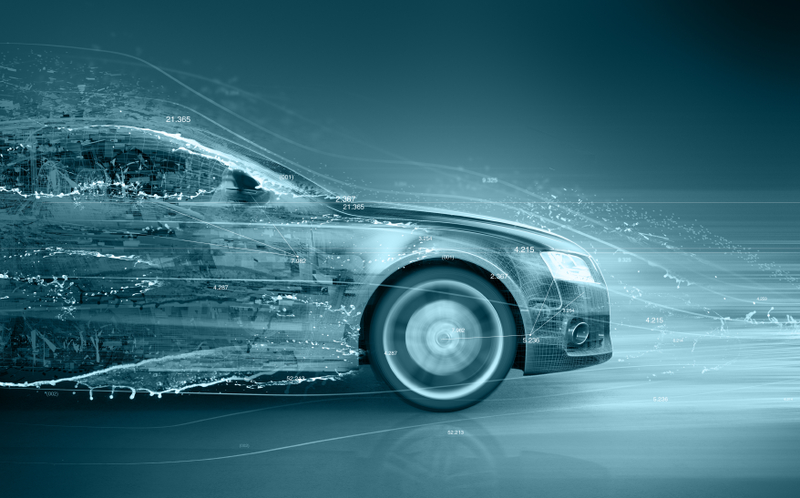 Advancements are still being made within the automotive technology sector, with driverless cars and impressive safety technology in the works for the not too distant future. Technology has certainly come a long way over the past 10 years.